Cutter-Guard is an environmentally safe cleaner for the woodworking industry. 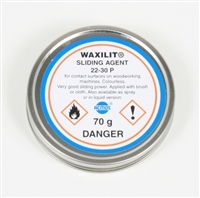 Waxilit is considered the standard by which all table lubricants are compared. Cutter-Guard removes and prevents wood residue deposits while providing a moisture-resistant barrier to prevent rust. This helps your woodworking machinery run more efficiently. As an alternative to Waxilit, Waxiglide Table Lubricant is a product suitable for table lubrication when producing construction or non-paint-grade materials. Chemical tunneling action that gets under the grease and grime for easy removal. Protects ferrous metals, preventing rust formation on tools and machinery. Environmentally safe to use. Totally biodegradable for easy disposal after use. 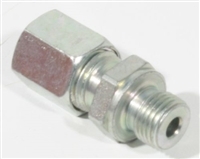 Can be sprayed directly onto machinery, or used in ultrasonic or diptank parts cleaners.